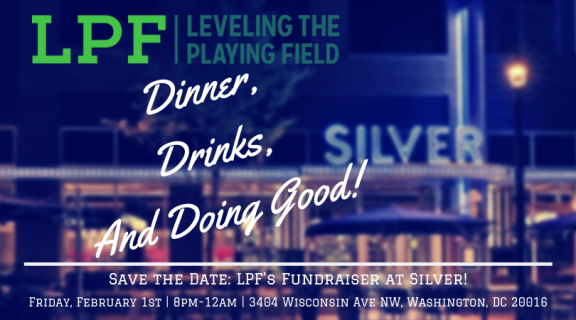 Support Leveling the Playing Field at Silver, Cathedral Commons for dinner, drinks, and doing good! LPF’s own Max Levitt and Maitlyn Healy will be guest bartenders for the evening with the help of some stellar board members, Jeff Peters and Melissa Reitkopp! 10% of the nights proceeds will be donated to LPF. Guests will also have a chance to win prizes through a raffle drawing.